If you have the least bit of confusion as to what is going on across the financial markets this morning, just take one look at the chart of the Japanese Yen. It is experiencing a MELT UP! This is what happens when the entire world of hedge funds are all on one side of a trade gone very, very bad, very, very quickly! To define this term, "carry trade", for those who are a bit newer to the markets ~ it consists of borrowing large amounts of Yen for extremely low costs due to the miniscule short term interest rate in that nation, and taking those proceeds, exchanging it into different currencies and then using that money to make investments elsewhere where higher yields may be obtained. If that is not risky enough, most of these hedge funds then leverage their speculative bets in the hopes of compounding their gains. It works until it doesn't and then disaster comes. What always causes an implosion in this sort of trade is movement in the underlying financing currency, in this case, the Yen. Carry trades bank on a continuation of a trend (down) in that currency and low volatility. As long as it is present, no worries. Once something happens to interrupt that pattern, the mayhem begins in earnest. One would think that some in this crowd would have learned something about the power of leverage to destroy their capital back in the summer of 2008 when we saw the same sort of violent reversal in the same carry trade when the entire world was short the Japanese Yen and long everything else. Apparently not. My guess is that this crowd figured that the Central Banks had removed all risk from their trade and that meant throw caution to the wind in order to obtain the biggest bragging rights to the largest gains. The problem is that no one rings a bell to warn of an impending reversal. With all of them completely dependent on their computers to do their thinking for them, there is literally no one to take the opposite side of the trade as the mad rush to the exits commences in earnest. I have mentioned many times that old pros and experienced traders who are still trading are there for a reason - they have learned the hard way to RESPECT the power of leverage, especially its power to destroy. Many of these hedge fund managers seem impervious to this axiom. What gets me is that there still seems to be a near endless supply of new victims for them to milk even after many of them manage to lose most of their client's money through their insatiable greed and stupidity. Gold continues to be caught up this mess as it is torn between its role as a safe haven and the need for hedge funds to raise cash to meet ever increasing margin calls. Again, forget all the claptrap analysis about Commitment of Traders report, hedge fund short positions, big banks long positions in gold, etc. NOTHING MATTERS right now except liquidity. 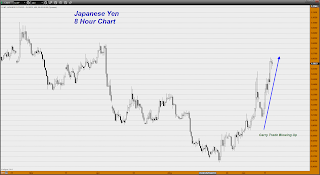 If the Yen finally stops moving higher, you will see a calming effect in the markets but as long as this volatility in the currency markets continues, either scale back your trading positions or get to the sidelines and let others chew and spit each other out. Why be a casualty if you do not need to be one? The markets are not going anywhere - they will be there tomorrow, next week, next month, etc. You can always come back and put your foot into the water when you are ready to wade in. Do not try to be a hero or a bottom picker or a top picker. Leave that to the fools and narcissists who are legends in their own minds. Treat your trading account as sacrosanct. If you preserve it, you will be able to take advantage of the good opportunities that will ultimately present themselves as a result of this mindless movement of money into and out of respective markets. If you try to be the hero and end up losing it, what are you going to do then??? Silver needs to get back above $22 in a hurry or it risks dropping back to near $20. Gold is stuck between downside support near $1365 and overhead resistance close to $1400. The Mining shares are moving lower again - what else is new there? The US Dollar chart is turning rather ugly but with all the wild movements in the currency arena, that does not matter as much as it might if conditions that are contributing to this were otherwise. thanks Dan, as always your commentaries are a breath of much needed fresh air. There are always two sides to any market. That is what makes trading the occupation that it is. Everyone always has an opinion; some are bullish; some are bearish. I try to make a distinction in my views about gold between my shorter term views and my longer term views. Long term, I sincerely believe that all of this central bank money creation is going to have serious implications for the entire monetary system and is going to result in much higher gold prices. I would not be the least bit surprised to see gold re-entering the monetary system in some form. Keep in mind that is where a lot of these guys on KWN are coming from. They are longer term oriented. As a trader, I do not have that luxury when it comes to trading markets that by their very nature are short-term oriented. When gold is in a bearish trend, as it currently is, my views are going to reflect that. That does not change my long term view however. 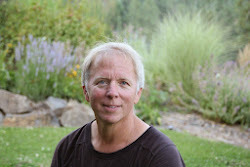 Eric King is a personal friend of mine who works hard over there trying to get some top notch people, who are well respected in their field, to provide their views. Just please keep that in mind when you make a derogatory comment about that network. Those guys are not traders - they are all long term oriented. 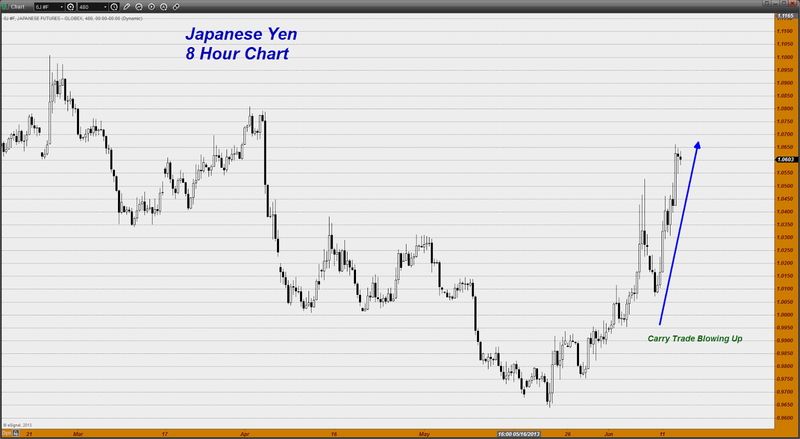 Think about this - how many folks are talking about the repercussions of the Yen carry trade unwind right now? Not too many. That is because it is more of a short term phenomenon. It is having an impact on the price of gold but over the long term, it will be a momentary blip on the radar screen. PS you know it is kind of funny that I tend to get personal emails from gold bulls in gold who get ticked off whenever I give a bearish analysis. I guess it just goes to prove that you can please some of the people some of the time but you can never please all of the people all of the time. Those conflicting opinions are what makes the world of trading go round. I shared this post with my readers this evening, no one says it better than you. I hope you know that I have a heart, a very big one at that and gave up trading for clients. I'll trade for myself but man, who the heck would want to answer to a client these days! Thank You for always speaking from the heart. Guys like Rickards were smart to jump off KWN early before it got ridiculous. Maybe Eric can redeem himself by interviewing CEO's of some market leaders, like lingerie manufacturers like VF Corp. or Limited Brands which are trading near lifetime highs. Dan is the only real person left and he tells it like it is. Wise words!! Thank you, Dan! I remember 2008-2009 and the crazy unwinding of carry trades. Yen was not the only currency to go wild. At the time, I was focusing on the polish zloty. With the prospect of soon joining the eurozone, the zloty was slowly but surely gaining strength against the euro, but still offered interesting yield (interest rates around 6-7% at that time vs 3-4% in France for example). One could realize how much carry trade was in the zloty when they started to unwind their positions frantically. Zloty went back from 3.20 for a euro down to 4.80 before government started to strongly intervene by the way, to stop the phenomenon. 3.20 to 4.80 in a few months time for a currency about to join the euro, and a country already within european union and shengen borders. There was no fundamental reason for that move. Only reason was everyone getting out of their position at the same time, and noone to take the other side of the trade, as Dan mentionned. As Marc Faber and many others stated : liquidity brings volatility. If we now swim in an ocean of CB liquidity, traders had better be careful if they are at the wrong side of a trade. I don't see how one can say that stop losses are useless in this kind of environment. Imho they are vital for one's survival. Of course, stop losses will be sometimes reached. Of course it's the game of some big players to move the markets at some occasions to reach them. Of course sometimes the depth of the market will be thin and you'll be executed at a slightly different price. But come on, that happened all the time in a day trading point of view. What's new is that they can now do the same on longer time units. But they don't manipulate the markets so well that they can reach any stop losses, at any time. This is not an argument to me. Stop losses protect your capital, they are necessary most of the time, except at some very specific conditions, again imho. If you don't put a stop loss with this volatility, what will you do when your first trade goes terribly wrong? Wait to be wiped out? nothing on crude oil dan?? Recall I have post call on silver at around us 23 then the next two the market crush by 3-4 percent. I have making huge acummulate in future before the water fall occur last week. All position was still intact and further I have add more contract ..